When your lead generation numbers fall short you get stressed. When you get stressed you make poor decisions. When you make poor decisions you buy TV ad placements for your B2B ads on Dora the Explorer. When you buy TV ad placements on Dora the Explorer, you have five year olds calling your account executives wanting to play hide-n-go seek. Don’t have five year olds calling your account executives wanting to play hide-n-go seek. Use targeted display advertising through Bizo. You’ve undoubtedly heard of DIRECTV, the satellite television services company (and its ads which I’ve poorly parodied above). But did you know that it is also a major player in B2B advertising? 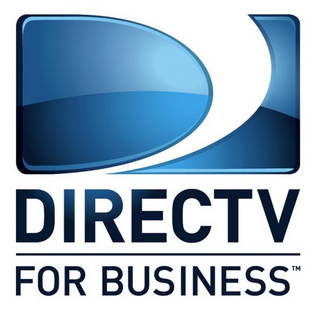 Its commercial arm, DIRECTV for Business, provides television services to small businesses of all types, including bars and restaurants, private offices, retail shops, and more. 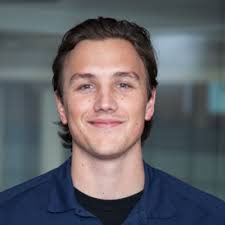 Working with its commercial marketing agency, BusinessOnline, to reach these audiences, DIRECTV for Business has tested several different approaches to display advertising, including run-of-site display buys from small business networks and other audience segmentation methods through DSPs. But limitations in scale and lack of insights into specific audience segment performance left DIRECTV and its agency wanting more. Since 2013, DIRECTV for Business has used targeted display advertising and retargeting to reach millions of SMB professionals anywhere online and turn them into customers. Generating new, high quality leads that result in paying customers is DIRECTV's top priority, and we provide the company with deep insights into audience engagement metrics, beyond achieving its desired cost-per-lead. DIRECTV is able to measure the marginal cost of driving a new Bizo-driven prospect to its website (cost per new visitor), showing the value of its display advertising efforts even before a prospect ever converts. Further, measuring page views per visitor shows that Bizo-driven visitors are more engaged and consuming more content on its website and landing pages relative to website visitors that haven’t seen its display ads. New visitors to the DIRECTV for Business website often do not convert on their first visits, as is the case with most B2B marketers. By using retargeting, DIRECTV ensures that even if prospects leave without converting, a large number of them can be driven back to convert the next time. This strategy helps increase conversions, and reduce the total cost-per-lead. This post was originally published on the Bizo blog. In July 2014, LinkedIn + Bizo joined forces to build the most robust B2B marketing platform available to marketers. To learn more, check out David Thacker, VP of Product at LinkedIn’s announcement blog post.